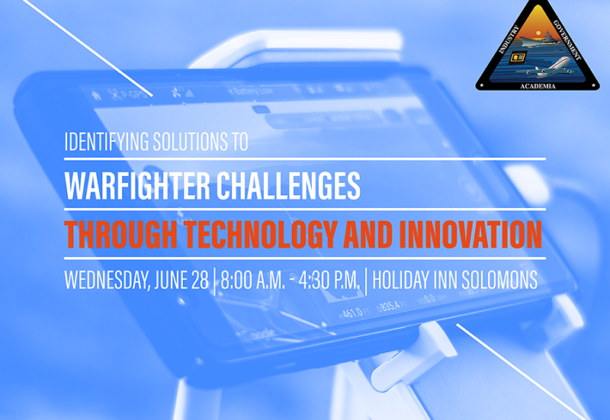 This all-day program will focus on products and technologies that have applicable use for the warfighter. TPP has several high-profile speakers confirmed for the day and will have exhibitors from TPP member and non-member organizations, along with start-up firms. Rates are $50 for individuals representing a TPP member organization and $100 for individuals representing a non-TPP member organization. There is no cost for active duty military/DoD and government civilian employees. Note: You must register using your official/valid military/DoD email address (.mil) to receive complimentary admission. The registration fee includes program attendance, continental breakfast, lunch, and reception. Gold Sponsor is KBRwyle. Exhibitors will be Dell EMC, Florida Institute of Technology, Smartronix, and Survice Engineering Company.